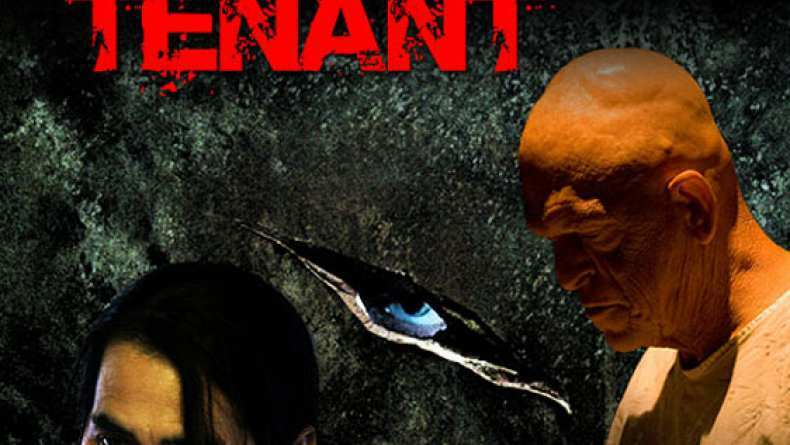 The trailer for The Tenant. Dr. Walter Newman has a vision to find a way, through DNA experiments, to put an end to human deformities. His obsession with his mission draws him deeper into his own dark world, distracting him from his responsibilities to his patients at Edgewood Asylum. His wife, Olivia, is pregnant with twins and sees her husband slipping further away from her. She worries that his loyal nurse, Ms. Tinsley, has some sort of control over him and may have her own agenda. Dr. Newman watches in horror as Olivia struggles to deliver their twins and realizes that one of his experiments has come back to haunt him. How could this have happened, something is horribly wrong. One twin is a beautiful baby girl, the other a deformed creature that defies nature. Dr. Newman knows that this creature is dangerous and must die. 25 years later, on a dark road, a van suddenly stops. Young, beautiful Liz Holliman of the Roslyn Center For The Deaf is traveling with a group of young teens and her driver, ex-con, Jeff Thomas. With a flat tire, a raging storm and freezing temperatures, they must seek shelter. As they make their way through the woods to an old, abandoned building, we realize they have just stumbled into the Edgewood Asylum. Little do they know, something evil awaits them.